Preheat oven to 350 degrees F. Unwrap the brie and place it on a baking sheet lined with parchment paper or in a shallow baking dish that you could serve the cheese in like a pie plate.... 20/11/2018 · Place brie skillet or dish on top of a baking sheet. Bake in 375 degree F-heated oven for 10 minutes (or until brie softens a lot and starts to ooze). Bake in 375 degree F-heated oven for 10 minutes (or until brie softens a lot and starts to ooze). Place the brie in the baking dish, cutting and fitting the cheese as needed to get all of it in the vessel. Spoon apples, walnuts and sauce across the top of the brie, and bake for 15 minutes, or until the brie is bubbly and melted. Serve alongside crackers or toast …... 29/04/2016 · If you decided to buy brie cheese in a paper container you will need to bake it directly on the baking dish. Preheat the oven and bake cheese at 350 F / 177 C for about 40 minutes. Preheat oven to 375° and line a large baking sheet with parchment paper. Cut brie into 1” cubes. Slice each biscuit in half to create two thin rounds. how to talk to angels lucinda gabriel brie baking dish from Williams Sonoma. Please enter a first name. First name should only contain letters, numbers and spaces. 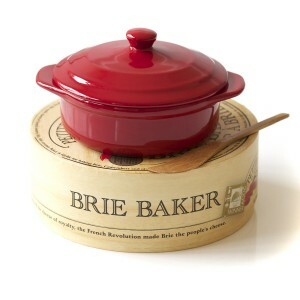 Next, place the brie in a rimmed baking dish, cast iron skillet, or brie baker. Sprinkle some brown sugar on top and bake for 12-15 minutes or until heated through. Sprinkle some brown sugar on top and bake for 12-15 minutes or until heated through. 20/11/2018 · Place brie skillet or dish on top of a baking sheet. Bake in 375 degree F-heated oven for 10 minutes (or until brie softens a lot and starts to ooze). Bake in 375 degree F-heated oven for 10 minutes (or until brie softens a lot and starts to ooze). Preheat oven to 350 degrees F. Unwrap the brie and place it on a baking sheet lined with parchment paper or in a shallow baking dish that you could serve the cheese in like a pie plate. 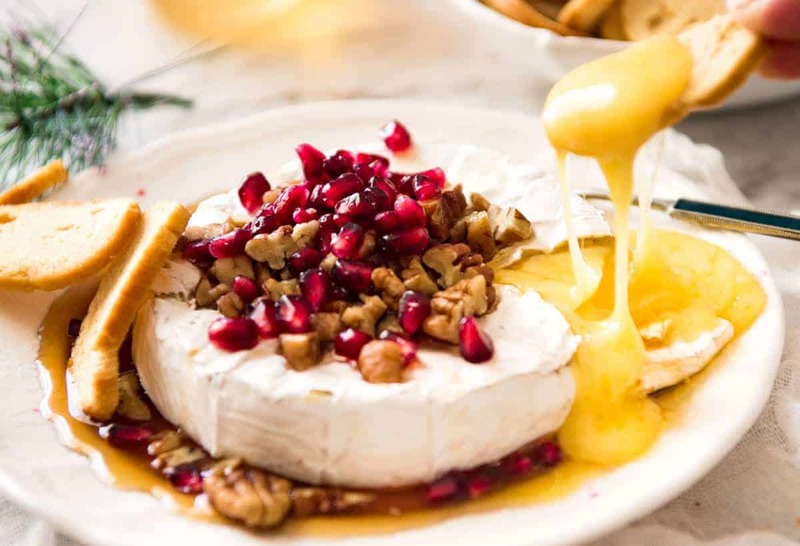 Take a small round of brie, 8 oz., and place in the dish, top with your favorite toppings: pesto, mango or pear chutney, olive tapenade or some sliced apples, almonds, brown sugar and brandy. Place in cool oven and turn temp to 350, bake 10-15 minutes.